4 oz./125mL Nalgene™ Narrow Mouth Polycarbonate Square Bottle | U.S. 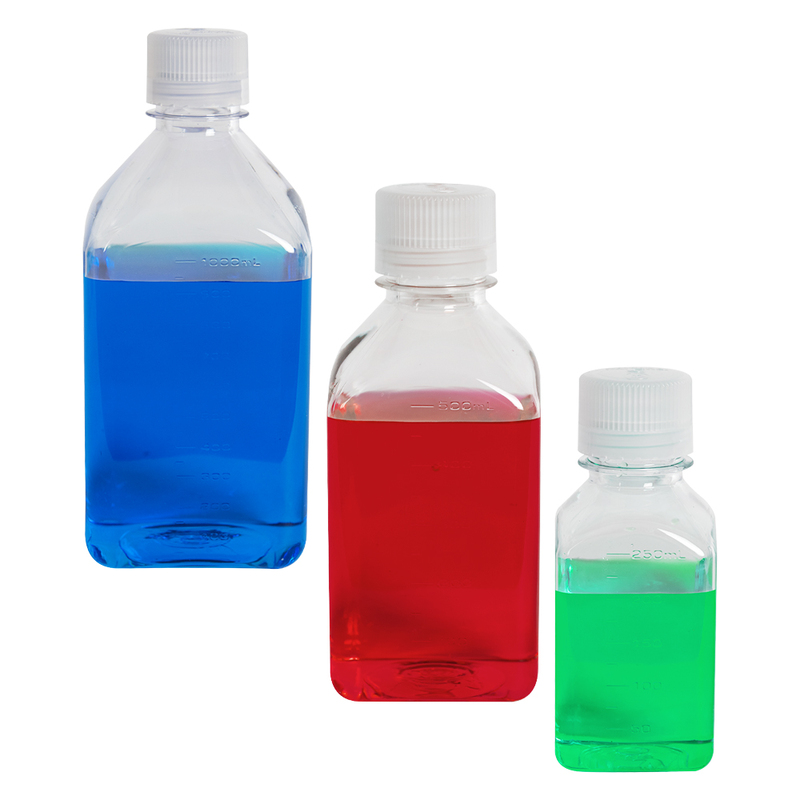 Plastic Corp.
Store aqueous solutions with these durable bottles that feature an easy-to-handle square design. Excellent clarity make these bottles ideal for general purpose storage of aqueous solutions and short-term storage of media. Repeated autoclaving will shorten bottle life. Dimensions: 53mm L x 53mm W x 109mm Hgt.